Dark, rainy evenings keep us all indoors. The ideal moment, then, to try out some of those more complicated recipes you are thinking about serving up at Christmas. And Christmas will be nothing without a well-decorated table. A cheerful tablecloth and a healthy fruit bowl can do wonders, but the effect is only truly complete with candles. But remember, take care with children and pets. 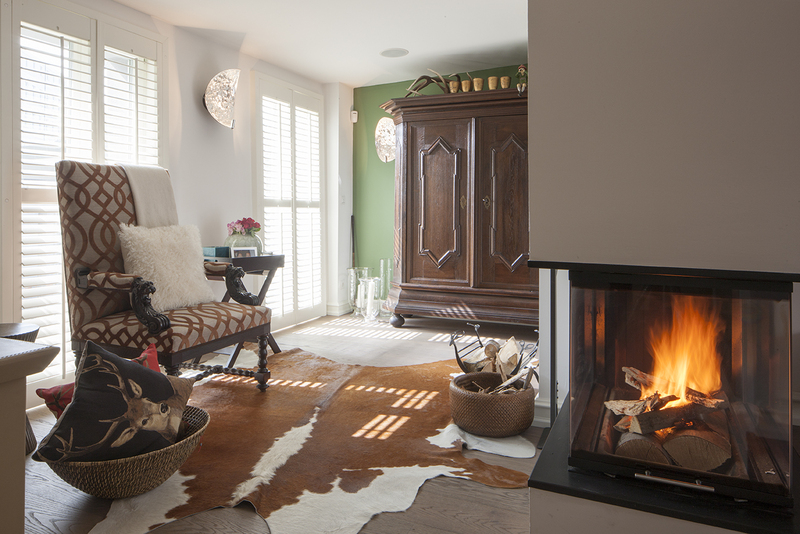 Your lounge area can also benefit from a winter metamorphosis. Do you have an open fire or wood-burning stove at home? Then light a fire for the atmosphere, heat and light it creates. And what about fresh cushions on the sofa and a plaid to curl up beneath, while you watch your favourite films and TV programmes? The sun creates fabulous light effects in any room, but what can you do if the sun isn’t shining? Street lighting and the headlamps of passing cars reflected in the louvers of shutters or blinds shine interesting light patterns in your home. To enjoy the incoming light, while keeping the curious looks of passers-by out, simply adjust the angle of your louvers. On the positive side, these darker days are helpful in ensuring a good night’s rest. If you are still troubled by light in the bedroom or wish to darken a room during the day, then blackout window coverings are your best friend. Our folding curtains, the folds are available in three transparencies, including a full blackout version. Relying on the light of candles, an open fire, passing cars and streetlamps can leave your home feeling too dark. Ring the changes with your lighting. White light is useful when you need good visibility, but is a real atmosphere killer. The world of lighting offers plenty of choice, from industrial light strings through to decorative reading lamps. The latest trend is lamps that change colour. These help refresh the look of your home every day.